The rich, comforting smell of toasted pistachios fills the air as Congolese women in saffron dresses gossip loudly over pots of salted goat stew. In the next market stall, Ethiopian men serve up spongy flatbreads to Moroccan families, the greased surfaces smothered with flavoursome hits of spiced lamb and sweet mango that make cheeks turn red with delight. Ghanaians shout out “Chalé, Chalé” to passing shoppers, inviting them to taste red rocket chillies, spirals of coloured vegetables and rainbows of sliced peppers. Three miles across town, as the glare of a stadium’s floodlights rebound onto the window panes of the local indie galleries, there are others who also believe London is only 90 minutes away. It’s December 2002 and in a small, lavender chocolate box of a stadium sheltered by pine trees, Anderlecht play host to a Beveren side dreaming of England. Arsenal scout Tony Banfield is in the stands and as Beveren’s 19-year-old Ivorian players Yaya Touré and Emmanuel Eboué are interviewed before the match, they give a hint of what they hope is to come. The pre-match interviews are not what every Beveren fan wants to hear. In Anderlecht’s VIP room, a grey-suited former Beveren player bemoans the “mercenary” culture that he attributes in depressingly racial terms to his team’s “negroes.” As he tells Germany’s Der Spiegel newspaper, “Back in 1979 when we [Beveren] knocked Inter Milan out of the European Cup, we did it with only white Beveren players. We didn’t need all these negroes.” When a 10-man Anderlecht team surprisingly romps to a 7-1 victory over a previously in-form Beveren, his anger increases further. He mutters wistfully, before excusing himself from the room. Two years after the millennium and Belgium is still coming to terms with its new identity as a sort of glorified waiting room; a place of transit in a globalised world. Financiers want to invest here because of Belgium’s deregulated economy. Migrants want to come here because you can get an EU passport in just two years. Businesses set up camp here so that their delivery trucks can zoom speedily between Britain, France and Germany. But no one really seems to want to stay here. It’s 2002 and Belgium is already the third-most globalised country in the world in terms of economic and transport links. Yet for many who pass through the country, it still feels like life is elsewhere, that Belgium is just a means to an end. Sixty percent of Belgium’s rural companies had been taken over by foreign investors between 1995 and 2002. But these investors haven’t sought to plough money into the local population by creating jobs, improving welfare or running community schemes. Rather, they come here as part of a speculative, venture capitalism. They asset strip, close factories and layoff unwanted staff. Of those rural companies bought by foreign investors between 1995 and 2002, 80 percent are resold for a profit within two years of such ‘efficiency’ measures. As globalisation runs roughshod over local populations and unemployment increases, tensions in Belgium’s provinces begin to mount. Cascading splodges of cool mayonnaise ooze onto hearty portions of warm frites outside Beveren’s 8,000 seater stadium in western Flanders. Beveren might not have a church or a cinema, but outside this ramshackle portacabin painted custard and blue in the colours of KSK, the town’s population of truck hauliers and sailors meet to savour a constitutive act of being Belgian: eating Frites. Beveren is a rather strange place for Belgian football’s first experiment with globalisation. When Arsène Wenger walked along the town’s streets in December 2001 with his French business partner Jean-Marc Guillou, it is hard to imagine what they found appealing in the two-storey red-brick houses that are home to truck hauliers, sailors and one of Flanders’ most xenophobic communities. Wenger and Guillou’s plan was simple. The latter, in partnership with an Arsenal-backed business called Goal, would use the club as a shop window to market players trained at his academy in Abidjan. Arsenal would loan Beveren young players such as Graham Stack, Steve Sidwell and Igors Stepanovs in exchange for the club receiving first refusal on players such as Touré. Following the completion of the deal that December, 17 Ivorian and two West African players passed through Beveren’s doors in under a year. By January 2003, Beveren’s starting line-up would feature just one Belgian amidst 10 Ivorians. “There are too many blacks,” the chairman of Beveren’s supporters’ group, Bert Cant, tells the club’s board in a meeting before the Anderlecht game. Such an attitude is disappointing, but not surprising in this town. The Vlaams Blok, a far-right Flemish nationalist party, is on the rise here. In 2004, they will win 26 percent of the seats in the regional parliament, with over half of Beveren’s population voting for them. For now, their leader Bruno Stevenheydens contents himself with warning of the “moral decay” being suffered in Beveren due to the arrival of Guillou’s Ivorian contingent. “Africans are stealing our game away, taking our jobs. The fewer foreigners there are, the safer our streets will be,” he tells Der Spiegel. By 2005, Beveren’s experiment with foreign investment is beginning to hit a sour note. “Ouu Ouu Ouu” monkey chants greet their Ivorian striker Kaïper Kipre, even as he scores his 11th goal of the season in early January. Defender Asène Né announces that he is scared to leave his house after being racially abused in town. In June, FIFA launches an investigation into Arsenal’s ties to Beveren, believing its agreement with Guillou breaches their third-party ownership rules. By 2006, Beveren’s board of trustees decide to terminate their cooperation with Guillou, going so far as to bring a lawsuit against him. “We want to make the team Belgian again,” its president, Frans van Hoof, announces. Drive along Belgium’s E40 motorway on a Saturday night and, slowly, amidst the twinkling glimmers of little towns where no-one goes, you’ll see the cauldrons of light. Pass Lierse, Lommel, La Louvière, Mouscron, Westerlo and amidst the vast canvas of dark emptiness that rolls out before you, the blazing floodlights of footballing cathedrals suddenly come into view. They are like magical lanterns these floodlights, lighthouses in the ocean of the night that beckon local populations towards their turnstiles. Any football fan will tell you how sacred these lights in the dark are; lights that serve as cinematic projectors onto which we cast our hopes and dreams. Yet, as Belgium reached the turn of the decade in 2010, more and more of these magical lanterns slowly began to fade into darkness, their flame extinguished. In March 2010, Beveren went out of existence. Guillou’s one-man running of the club, it was alleged, had left it without sufficient organisational structures and links with the local community to survive on its own. The year before, the famous names of RAA Louviéroise and Mouscron had also gone bust. The former had flirted with a foreign investor and found themselves burned. Zheyun Yé is a Chinese businessman with opaque links to the Asian betting industry. From 2000 onwards, he has based himself in Belgium and was regularly photographed with the club directors of Lierse, RAA Louviéroise and St. Truiden. In 2005, alarms were raised when St. Truiden’s goalkeeper seemed to intentionally fumble two balls into his own net to gift RAA Louviéroise a 3-1 away win. When, the next week, RAA Louviéroise’s players passively stood aside and appeared to allow Westerlo to score two goals in the final 10 minutes of the game, English betting agency Betfair blew the whistle. Abnormally large bets totalling over €600,000 had been placed in the Asian market on both of these outcomes. Following investigations, Lierse and RAA Louviéroise were suspected of being the ringleaders of Belgium’s own match-fixing ring. Lierse were immediately relegated to the third tier, while 35 staff and players of RAA Louviéroise were indicted before the Belgian Palace of Justice. Unable to afford the legal fees, RAA Louviéroise folded. “Belgian football has entered an era of Casino Capitalism,” Belgian’s leading economist of football, Toen Wim Lagae, announced in 2011. 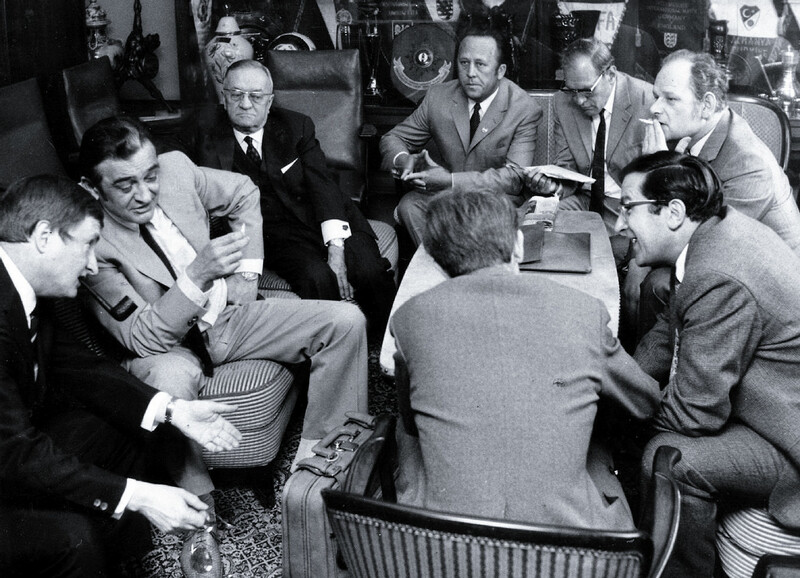 Wim Lagae’s label of casino capitalism was not merely an allusion to the Zheyun Yé scandal. It was aimed more broadly at the fact that Belgian clubs had become easy prey for both domestic and foreign investors seeking to make a quick buck. KV Mechelen, Lierse and Mouscron had all been brought to their knees at the turn of the millennium. Each saw investors come in and speculate by purchasing players on unsustainable transfer fees. The hope was that the gamble would pay off, with lucrative European qualification following. It didn’t. Mechelen and Lierse staved off liquidation by the skin of their teeth. Mouscron and another first division club, KFC Lommel SK, were less fortunate. Lommel were liquidated in 2003; Mouscron in 2009. Amidst the disappearances, a deathly silence. Of the surviving teams, only Mechelen stepped forward to call for a reform of clubs’ ownership models along fan-led lines. With no proposals forthcoming, Belgian football remained ripe for exploitation. A foreign investor might hesitate before buying Anderlecht for €200m, but look further down the league, however, and minnows such as Eupen, Kortrijk, Roeselare or Westerlo could still be bought with a billionaire’s loose change. And if your investment backfired? Well, you’d only lose a few million. With its terraced houses stained, its rusting factories and abandoned warehouses, the town of Lier seems like your quintessential Belgian working-class hub. But venture a little further along the town’s bland streets and, suddenly, a riot of waspish yellow and black colour descends on you. Here, next to the Frituur Kockste’s wafting aroma of frites, on a street appropriately named Voetbalstraat, a giant mural of SK Lierse’s historic 1997 championship-winning side of Bob Peeters and Stanley Menzo dominates the industrial skyline. Lier is home to the original Leicester City, a team that wasn’t supposed to win the league and whose triumph was made all the more special by the fact it was a homegrown squad that did so. Well, Lier was home to the original Leicester City. In June this year, SK Lierse’s 112-year existence came to an end, the club run into the ground by its Egyptian billionaire owner, Maged Samy. In 2007, the year he bought Lierse, Samy was the owner of a Cairo property company named Wadi Degla. This company, rather confusingly, simultaneously doubled up as an Egyptian football team also called Wadi Degla. Buying Lierse for a mere €3m at a time when they were languishing in the Belgian second tier, Samy soon made extravagant promises to the local population. 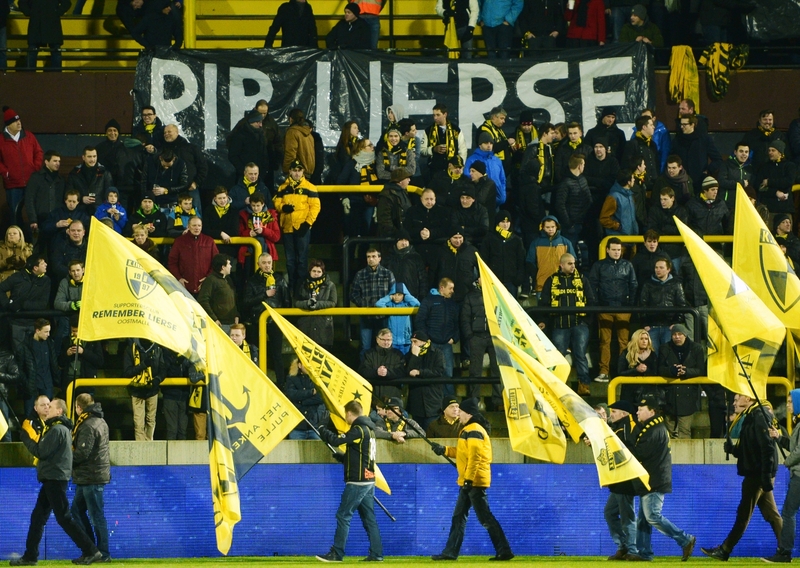 Within five years, Lierse would once again be playing Champions League football, Samy said. All started well: in 2010 Lierse were promoted back to Belgium’s top flight. But then Samy’s ambitions seemed to change. The promised €20m stadium was shelved, the investment seemed to dry up and, suddenly, the team started signing Wadi Degla players by the bucket-load. Over the next four seasons, Lierse languished near the lower reaches of the table, its squad featuring on average four to six Wadi Degla players. Lierse’s shirt colours were changed, the yellow and black now accompanied by the same shade of blue worn by Wadi as well as the latter’s logo. When fans protested, Samy threatened to change the club’s logo to a camel. 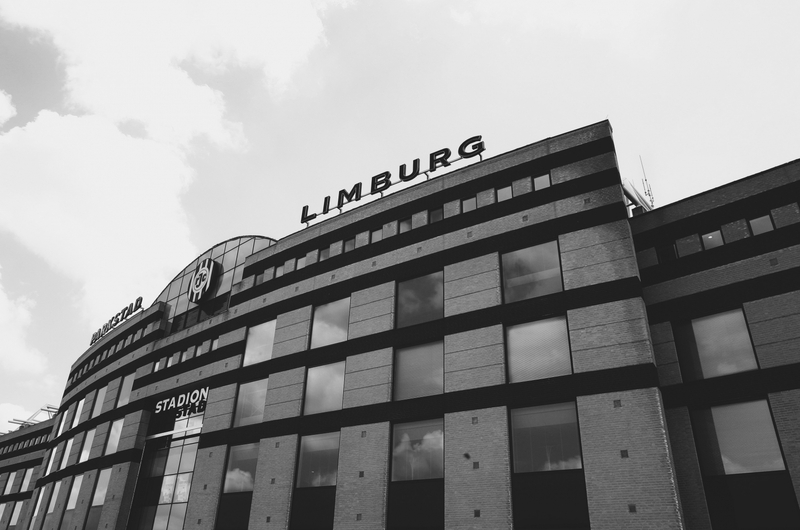 Samy’s strategy in Lierse fans’ eyes was to leech off of the club, seeking merely to stave off relegation each year and pick up the €10m of broadcasting revenues. “This club has lost its soul,” club legend Eric van Meir noted mournfully in January 2015. Four months later, Lierse were finally relegated. Fans held mock funerals. Little did they know that these came three years too early. This is a story being told across Belgian football, in foreign investors whose motivations seem to grow more absurd by the day. Visé is a beautiful market town of cobbled streets and grand old oak trees that sits atop the bubbling River Meuse. It is not a town known for its footballing heritage. Local side CS Visé’s most famous success was to reach the last 32 of the Belgian Cup in 1994. When an Indonesian telecommunications and mining company owned by the country’s politically influential Bakrie family bought CS Visé in 2011, therefore, eyebrows were raised. What interest did Aburizal Bakrie, the owner of the Bakrie Group and a candidate for Indonesia’s upcoming 2014 presidential elections, have in a languishing second tier Belgian football team? The answer seems to be political self-promotion at home. Just as his electoral rival Erik Thorir, who in 2017 bought Internazionale, was trying to use football to ingratiate himself with the Jakarta electorate, Bakrie’s Indonesian TV One channel soon aired a weekly reality show on CS Visé’s fortunes. For political analysts in Jakarta, the television show seemed a cynical attempt to distract a football-loving public from Bakrie’s alleged role in causing a volcanic gas eruption in the country in 2006. When the Lusi volcano in East Java erupted that year after a period of sustained fracking, 14 people were left dead and 60,000 homeless. Unsurprisingly, when a CS Visé side full of Indonesian players failed to gain promotion to the top-flight at the first attempt, Bakrie seemed to lose interest. They first tried to buy first division team Charleroi, then appeared simply to pull out of the project altogether. Investment faltered; the club fell down the league structure and, in 2014, CS Visé went out of business. 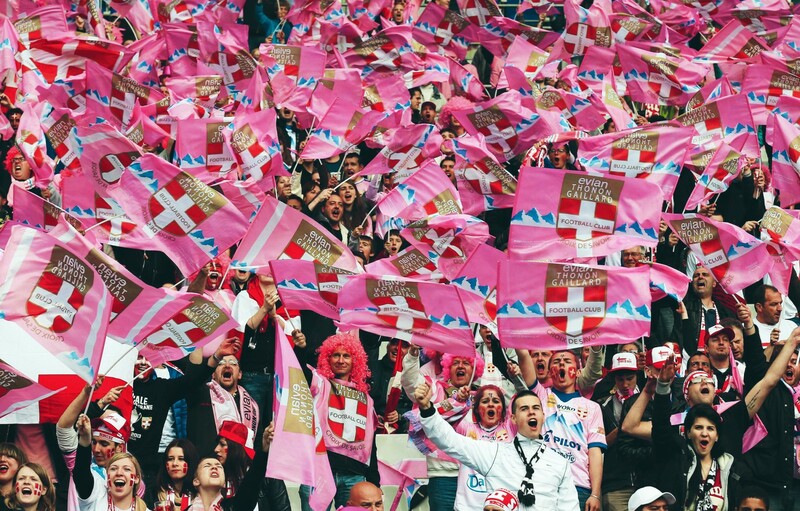 In Belgian football’s theatre of the absurd, CS Visé is not the only club to be transformed from a football team into a reality TV show. In 2014, South Korean entrepreneur Shim Chank-Koo bought second division team AFC Tubize. 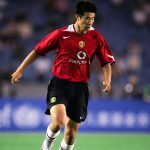 What Shim failed to mention at the time was that he had signed a contract with Korean broadcaster KBS to air a 16-episode television series about the team. While 10 members of Tubize’s first team were released from contract, 20 young Koreans arrived to be put through their paces. Only two of these players ever even made the bench for the first team. By 2017, Tubize had gone from a team chasing promotion to one languishing near the bottom of the table. They were relegated this year, only to be granted a reprieve when Lierse vanished from existence. Farcical reality tv shows are one thing, but the real danger remains that Belgian clubs become prey for seemingly more illicit purposes. A stark warning comes here from the recent experience of Royal Mouscron-Péruwelz, the reformed successor club of the demised Royal Excel Mouscron. In 2015, super-agents Pini Zahavi and Fali Ramadani bought Mouscron through a Maltese-registered company named Gol Football Malta Limited. Over the next two years, nine players were transferred from Cypriot side Apollon Limassol, eventually arriving at Mouscron. In December 2016, an investigation by Der Spiegel found that Zahavi was a majority shareholder in Apollon. Worryingly, it appeared that Apollon’s owners were using their club as a vehicle through which to register illegal third-party ownership over players. This is a practice known by FIFA as ghost transfers, where players are bought in secret by clubs such as Apollon but never actually join up with these teams. Apollon retained these players’ economic rights and then took the profit when they were purchased from their original clubs by European heavyweights. Nikola Aksentijević, Mouscron’s right-back in the Zahavi era, had started his career in Western Europe by signing for Vitesse Arnhem from Partizan Belgrade in 2012. Yet despite the media announcements of both clubs, he did not actually sign for Vitesse. He actually signed a four-year contract at Apollon, even though not once during this spell would he set foot in Cyprus. Three days after signing for Apollon, the Cypriot club loaned him to Vitesse. Over the next four years, Apollon loaned him back to Partizan, then to OFK Belgrade and finally to Mouscron, picking up transfer fees each time. A similar story occurred with young Romanian prospect Cristian Manea, who Mouscron claimed to have signed on loan from Chelsea in the 2015/16 season. At no point in time had Manea ever signed for Chelsea. Whilst his Romanian club Viitorul claimed to have sold him to the Blues, they had actually sold him to Apollon, who in turned loaned him to Mouscron. The announcement of the move to Chelsea seems to have been an attempt to push up his transfer value. As Belgium return from a successful World Cup campaign, perhaps it is time to stand back, take stock and ask what is alive and what is dead in Belgian football? At the surface level, globalisation seems to have been the harbinger of Belgian football’s success. Many of Belgium’s stars of today are of migratory heritages, were brought through Dutch and French academies, and now excel in foreign leagues. The reality in Belgium is this: while the country’s footballing elite have rarely had it so good, many of its clubs have never had it so bad. Unchecked globalisation is weaving a path of destruction in this country, one by one the clubs of yesteryear falling by the wayside. As Belgian football enters the 2018/19 season, it faces the rather absurd prospect that six of its eight Second Division clubs will be owned by foreign investors. KSV Roeselare were recently bought by Chinese President Xi Jinping’s business associate Xi Liu Hawken. In January, the Saudi Crown Prince Abdullah bin Musa’ad bought Beerschot-Wilrijk. What do these owners really want from these clubs? How many of these teams will see the lights of their footballing cathedrals slowly fade into darkness? The trend continues.